- Walt Disney famously said, "All our dreams can come true, if we have the courage to pursue them." Where will your dreams take you? This gorgeous full-color bumper sticker measures 2 3/4" by 11", and is reposition-able (can be temporarily repositioned during application). 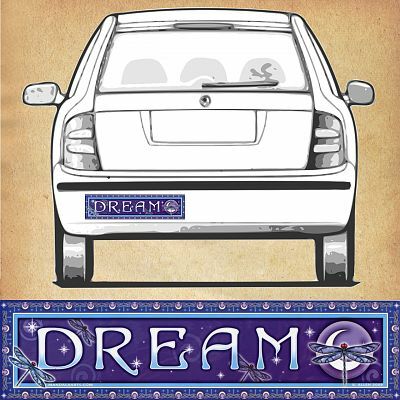 Do you have any other questions about our Dream - Bumper Sticker?